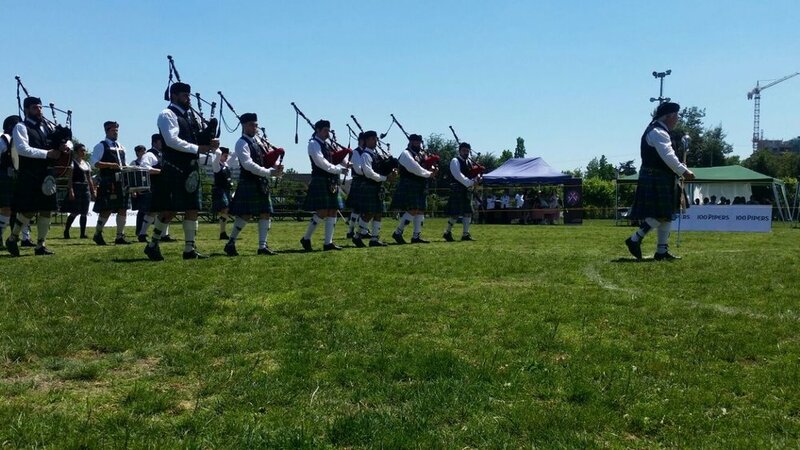 The band competed as the – “SACRAMENTO PIPE BAND” – as they had 2 Pipers & 2 Drummers from the Riverside PB of Montevideo. They were a total of 8 Pipers + 5 Drum Corp & 4 Dancers. The event gathered a total of 11 Bands – totaling 150 Pipers, 50 Drummers & about 40 Dancers – A grand turnout. Final Places. 2) BBC – São Paulo. 3) SACRAMENTO PB – São Paulo & Montevideo. 1) BURNS SUPPER – on 24th February 2018.